Krithika Varagur "This is our culture and we shall stand firm against cultural intimidation." 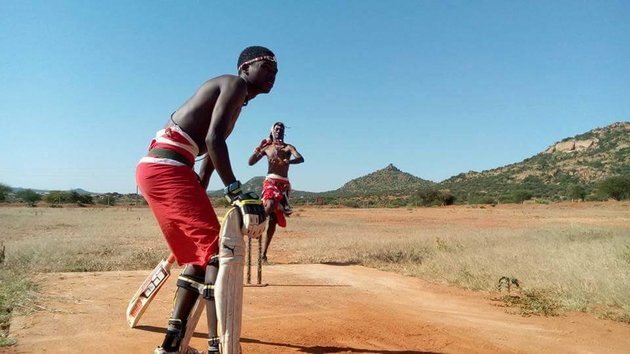 A group of young Maasai warriors in Kenya grew up hunting, but traded in their spears for something unexpected: cricket bats. 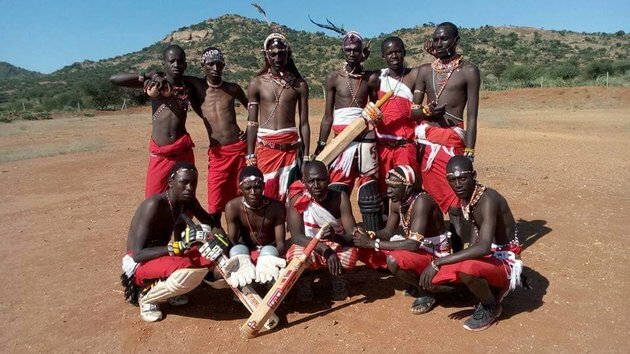 Since they first learned cricket in 2007, the Maasai Cricket Warriors have become a semi-professional team and traveled all the way to London for a cricket championship. But their biggest challenge has not been on the cricket field, but at home in Kenya. The Warriors have used their fame and athletic success to promote women’s rights in their community. 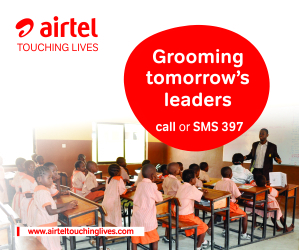 They have used their platform to campaign against female genital mutilation and substance abuse, promote conservation, and raise awareness for HIV/AIDS prevention. They are also the subjects of the documentary film Warriors, by the British filmmaker Barney Douglas. “In their society, men are dominant… [so] it’s partly the young men’s responsibility to stand up and say, ‘FGM is not right. It’s unacceptable. We want our young women to go to school,'” Douglas told NPR. The Maasai are a semi-nomadic people who live in Kenya and Tanzania. The Warriors explain on their website that in their society, women get limited education, are usually subject to FGM, and are married off young. “Their main role is to bear children, look after the household, build houses, walk long distances in search of water and firewood and tend to small livestock,” they write. Well before he learned cricket, the Warriors’ team captain, Sonyanga Weblen Ole Ngais, resolved to fight FGM, whose pain he observed firsthand. “When I was young I remember very well my last sister to undergo the cut [FGM], and she was married off. I really liked her and was really sad and cried a lot when she was married off…When I grew up I started to realize what these people were doing … it was not nice, it was inhuman,” he told The Guardian. Ngais and his teammates grew up with an acute awareness of gender inequality in their community and a great desire to change that. Women’s rights were at the back of their mind before they picked up cricket, and continued to motivate them when the sport brought them fame. They were introduced to the sport by Aliya Bauer, a South African primatologist who was conducting research in their village of Il Polei in central Kenya. Bauer brought in equipment and taught the young men cricket, which they quickly came to love, finding the game similar to their traditional hunting and spear-throwing, according to NPR. Ngais told CNN that basic cricket moves like bowling (analogous to pitching in baseball) came naturally to them. 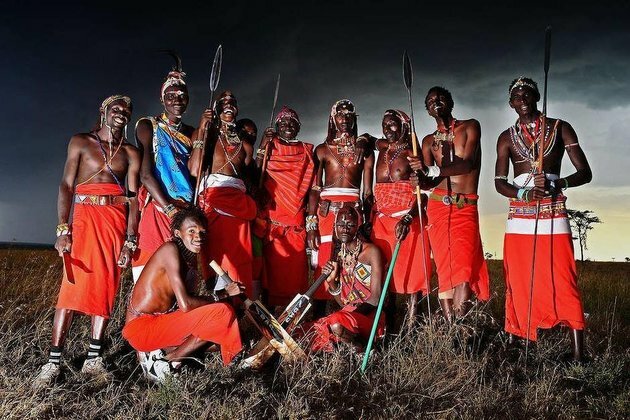 “I can relate it to the cultural way, the Maasai way, the way we throw the spear,” he said. In 2009, Bauer became the official coach of six teens who dubbed themselves the Warriors. Their profile rose in 2013 when they traveled to the Last Man Stands championship in London. The growing fame brought them enough clout to have a serious discussion with their village elders about women’s rights. In the climax of the “Warriors” film, “The elders give the young men their blessing to stop marrying girls who have been circumcised, which could then discourage families from enforcing the practice,” according to NPR. Today, the Warriors have 25 members and a new, counterpart girls’ cricket team. They even organize “cricket safaris” for travelers who can play cricket in a nature reserve among wildlife. For these natural warriors and trained athletes, the toughest battle has been the one for social change. But on their blog, they reaffirmed their commitment to ending FGM and regressive cultural norms. “This is our culture and we shall stand firm against cultural intimidation. We shall win this regardless of the price,” they wrote.